We are given gifts to use in God's Kingdom for two reasons: 1) to bring glory to God, and, 2) to bless others. 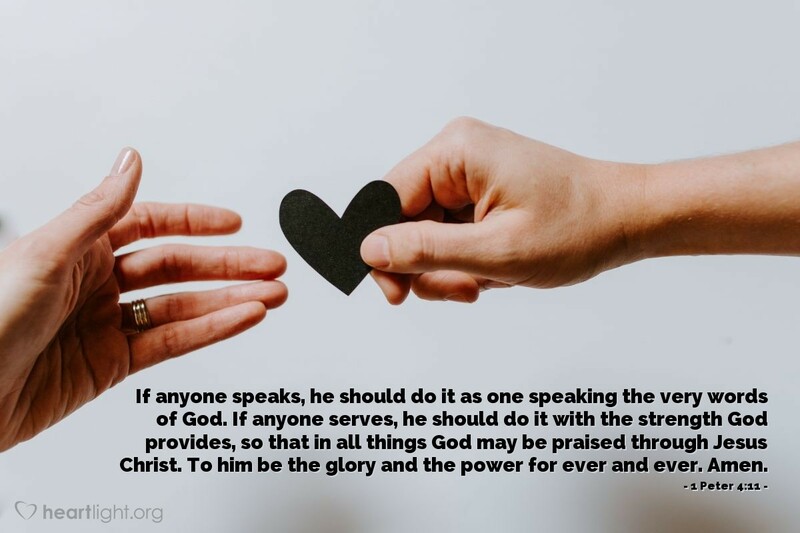 Whether we serve or speak, we are to do so with these two goals in mind, knowing that God will supply the strength to do what he has gifted us to do. Holy Father, thank you for not just saving me, but for also giving me abilities to use to bless your people and honor you. Help me see the ways you want me to use my gifts today, and every day that follows, to bless others. In Jesus' name I pray. Amen.